Gears started popping again today, making it tough to get into a groove. Weather is also starting to turn. Highs today in the low 50s, with the wind chill making it feel more like low 40s. Not ideal peddling weather, worse when you’re drenched in sweat, but arrived in Rushville before dark, with 64 more miles behind me. 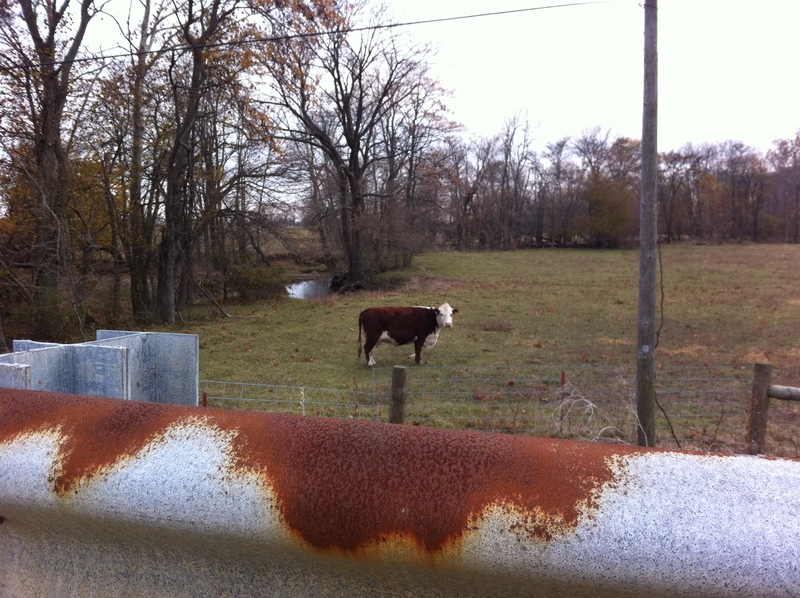 Along the way, rolled past another one of the many curious cows I have encountered on this trip. Rolled down a side street to ask directions to the local sheriff’s department to ask for permission to camp in one of the town park. Lucky for me, the person I asked was Randy Kaster, who was very excited about my mission and had a few choice words to share on why he didn’t vote today. Countless people I have encountered on this journey share his disdain for the two major political parties. I call them the party of “no” versus the party of “slow.” Either way, we lose. Randy then kindly offered to have me camp in his backyard (where I am writing this from the comfort of my tent). Yet another heartwarming example of the generous nature of Americans. Earlier, over pizza and beers, I learned Randy is a decorated veteran of the U.S. Marine corps (1980-1992). I also learned that Rushville is named in honor of Dr. Benjamin Rush, one of the signers of the Declaration of Independence, and served as the presidential campaign headquarters for Wendell Willkie’s 1940 presidential campaign. 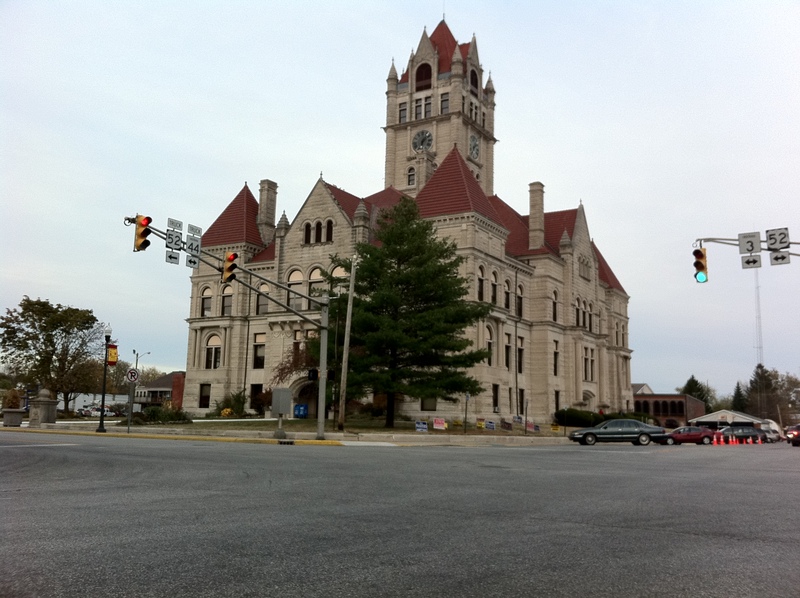 It also boasts one of the most beautiful historic courthouses in the state. This entry was posted in 2010 Ride, Blog, Video and tagged benjamin rush, indiana, indianapolis, ride for renewables, rushville, wendell willkie. Bookmark the permalink.